This step by step lesson explains and illustrates the technique used to paint the background and foreground in our Still Life Painting lesson. By following the illustrated stages below we lead you through the key points of their painting technique from their flat underpainting to their subtly shaded tones that hold the objects in a unified group. 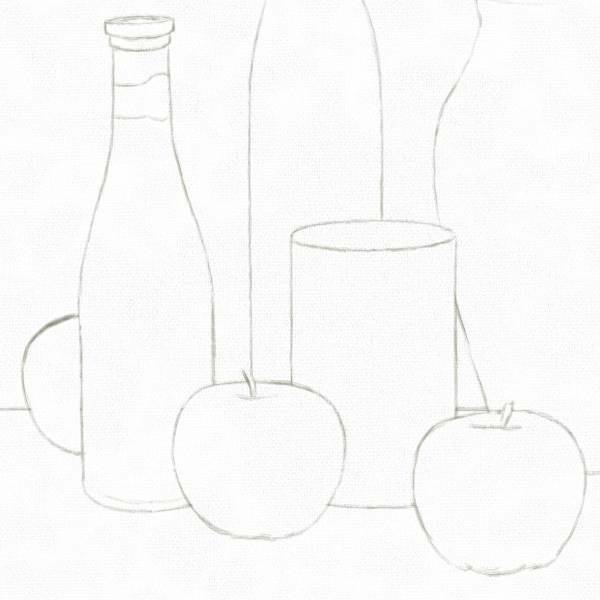 Once you have finished drawing a still life, the background is usually the first thing you should paint. Start the background and foreground by underpainting both with flat areas of color, taking care to slightly overlap the edges of all the adjacent still life objects. Apply the first layer of dark tone with a thin glaze of transparent color. Apply the first layer of dark tone using a thin glaze of transparent color, stippled and blended with a soft sable brush. Take care to ensure that you overlap the edges of any underpainted color as you do not wish to leave any gaps which could be difficult to rectify at a later stage. Build up the intensity of the tone with another thin glaze glaze of color. Use as many glazes of color as you need to reach the depth of tone you desire. The translucent quality that you can achieve by building up thin layers of transparent paint adds a vibrant depth to your tone and color. Unify the overall tone of the background with a final glaze of color that helps to merge and balance both glazed and unglazed areas. Apply the first layer of dark tone to the foreground using a thin transparent glaze of color, stippled and blended with a soft sable brush. Take care to ensure that you overlap the edges of any underpainted color. Use a white glaze for reflected light. Transparent glazes of color usually have the effect of darkening tones. Sometimes you need to lighten certain areas which require a thin glaze mixed with white for increased opacity. The areas of reflected light in the foreground are painted by building up thin glazes of white. Unify the foreground with a final glaze of color. Unify the overall tone of the foreground with a final glaze of color that helps to merge and balance both glazed and unglazed areas. 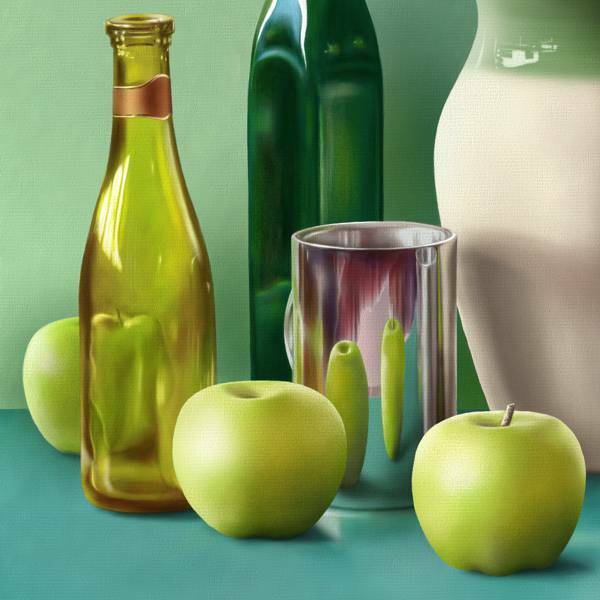 Painting of the background and foreground in the finished still life. 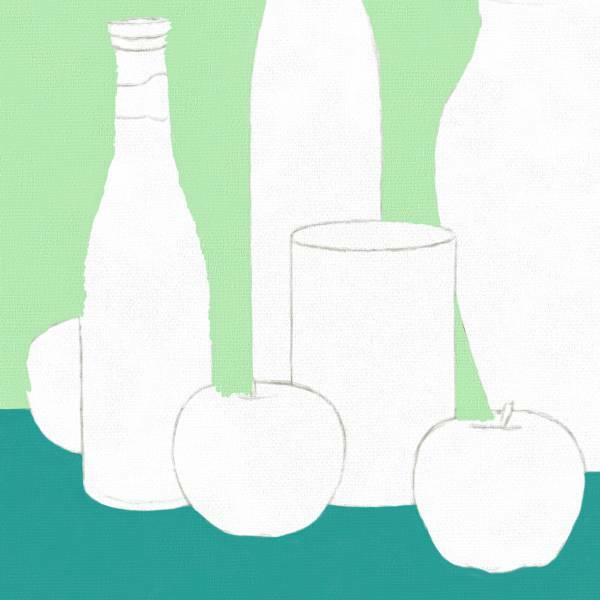 You can see how much more natural the background and foreground appear when seen in context with the other still life objects. Learning to draw and paint is as much about learning to trust what you see as it is about your technical ability to render it. 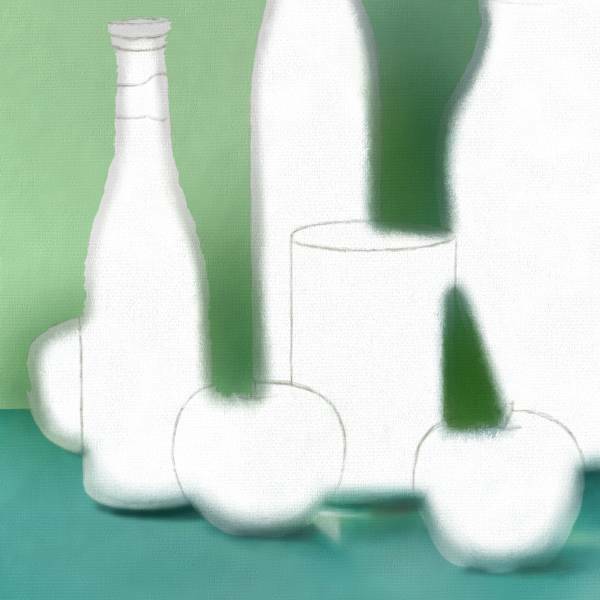 Still Life: Painting the background and foreground. Step 2: Underpaint the background and foreground with flat colors. Step 3: Apply the first layer of tone with a thin glaze of color. Step 5: Unify the background with a final glaze of color. Step 6: Apply the first layer of tone to the foreground. Step 7: Use a white glaze for reflected light. Step 8: Unify the tone with a final glaze of color. This lesson explains and illustrates the step by step process of painting the background and foreground of a still life.